It has been a while since my last post. I protected the blog to protect my privacy from things happening in my life, because I felt it best for me. I'm back, and this blog is taking a different direction. Old posts have been pulled and a fresh look is underway. Life is forming anew these days. 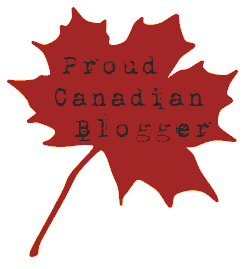 I've been blogging a little over 10 years years now, and the shape and feel of the blog have changed as my life did. It began as a search for lasting love in my life, morphed into a finance blog while I moved through my debts, and then began to take shape as a health and wellness site for me to do more than that. I vented through this medium about people and relationships, love, death, the struggle to get myself into the place in life I wanted. A good portion of my life was poured out here for the world (the small following I had) to see, and was made a little more public with an article written in the Globe and Mail several years ago. The article still exists, and the link is reactivated if you ever find it. Life has taken an unexpected turn that has lead to this place and this point now. That is the way life goes. To my readers - no matter who you are - welcome! To my past readers, persons that may know the situation or those involved, welcome! Items have been protected to respect privacy of all involved, so you may not find past posts here any longer. This blog is morphing into a journey on health and wellness, in all its capacities. As life takes me down a new path, I wish love, light, healing and blessings on all who have crossed paths with me and all who may in future. My life has taken a turn. I am navigating a new path now and some who have been with me are no longer part of my life. So I reset, update, and move into my new life path. Finances and relationships are part of life. How much they are a part of this blog moving forward, I cannot say. Stay tuned though. I am bringing out more of me and more of life with each new day! Hi welcome back can't wait to see what you are doing. I kept checking to see if you were still around... hope the changes in your life are good ones :) I'll check in more often! Welcome back!! Hope all is well and am looking forward to this new chapter.